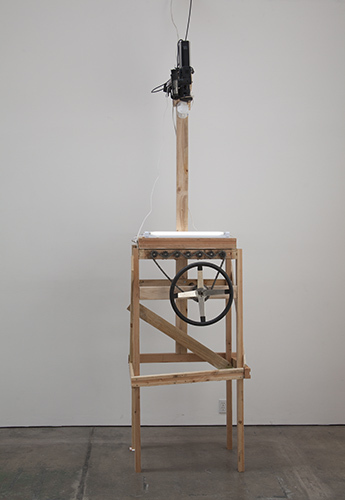 A kinetic sculpture that naively attempts to recreate the phenomenon of analog video static via mechanical means. 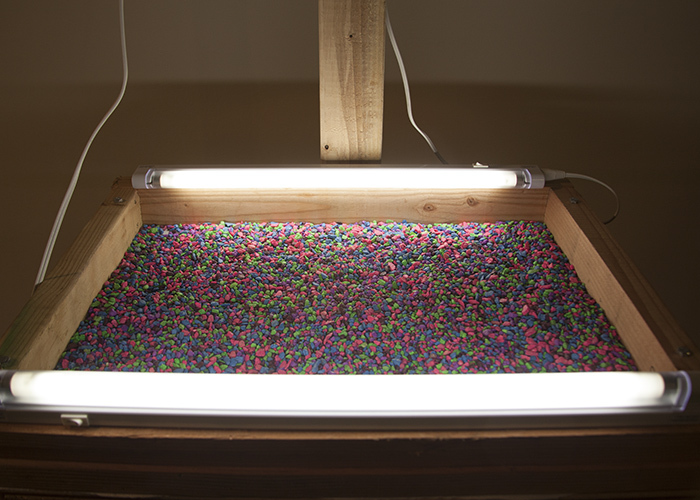 When the viewer approaches this machine, fluorescent lights above a bed of colored aquarium turn on. 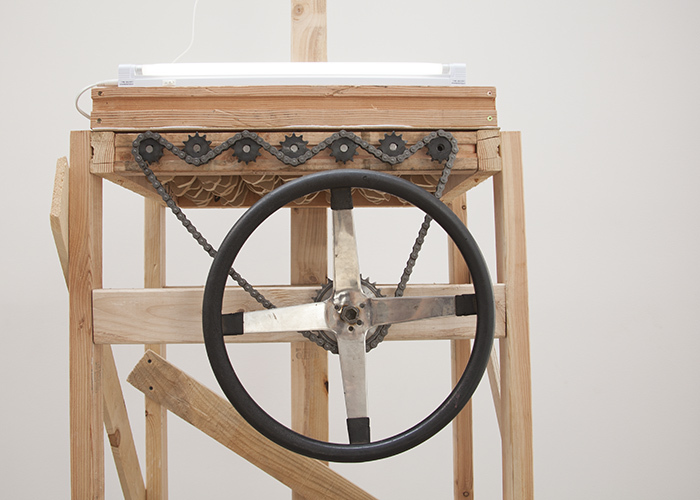 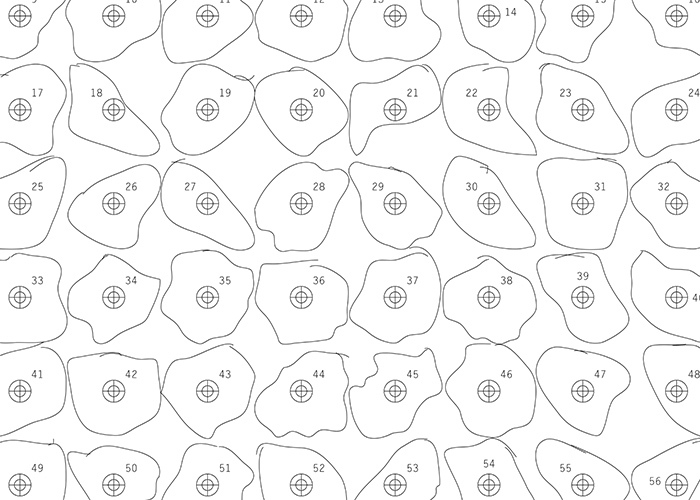 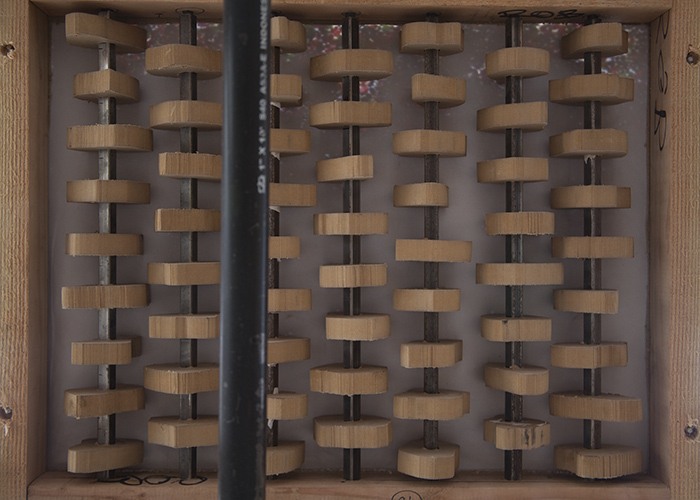 The user turns the handwheel, which activates 60 uniquely-shaped cams – each cam’s profile derived from a different piece of aquarium gravel. 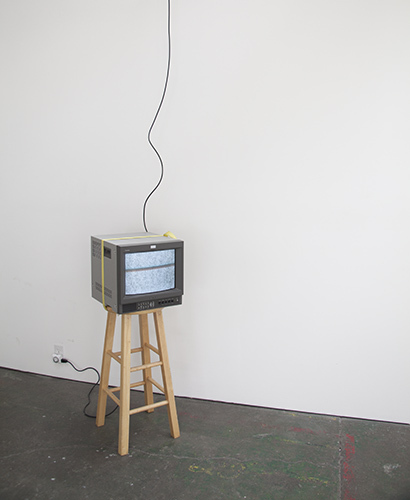 An analog video camera captures the movement of the churning gravel bed and broadcasts it to a monitor in another part of the space, rendering a crude version of black and white static. 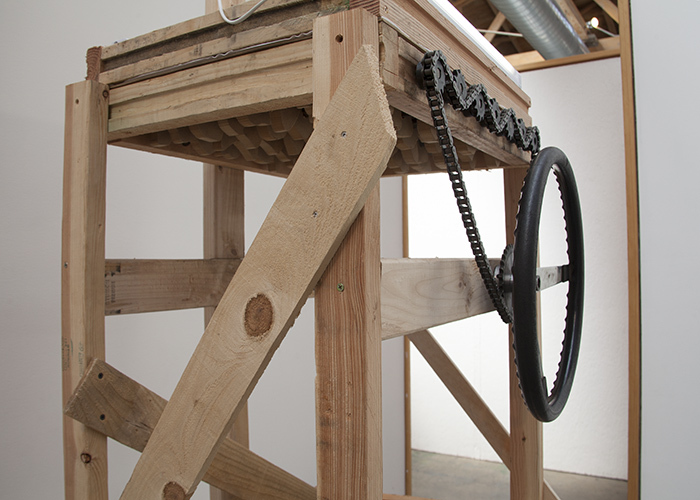 This piece was exhibited in the show Adrift, A Raft at Space4Art in San Diego, CA. 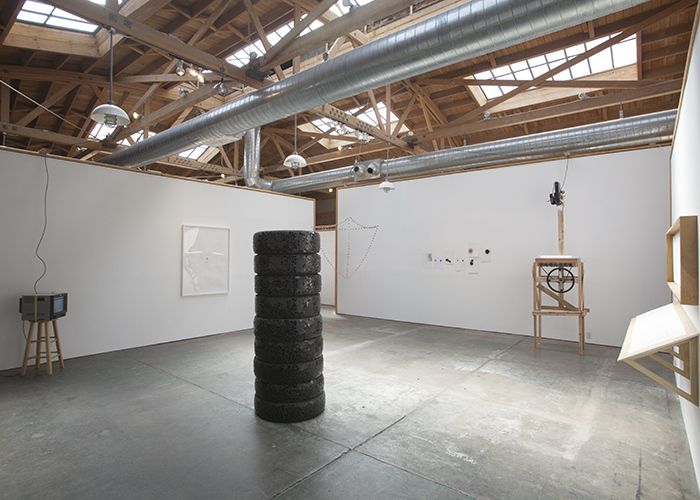 The show was curated by Rujeko Hockley and reviewed by Shawnee Barton.